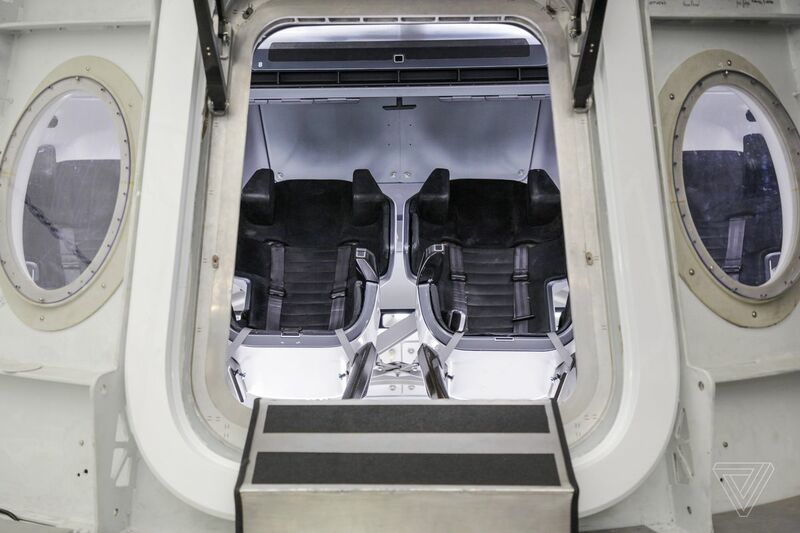 A view inside the Crew Dragon capsule simulator. The first setup is one for the commander and the pilot. It consists of the two center seats that will be inside the capsule as well as the touchscreen and button interface that the astronauts will interact with during flight. In signature SpaceX style, everything is as sleek and streamlined as possible. There are only a few dozen actual buttons that the astronauts can push, most of which are only to be used during emergency scenarios. For instance, astronauts must press a real button to help suppress a fire. A cockpit simulator of the three touchscreens and buttons that the commander and pilot will access during flight. 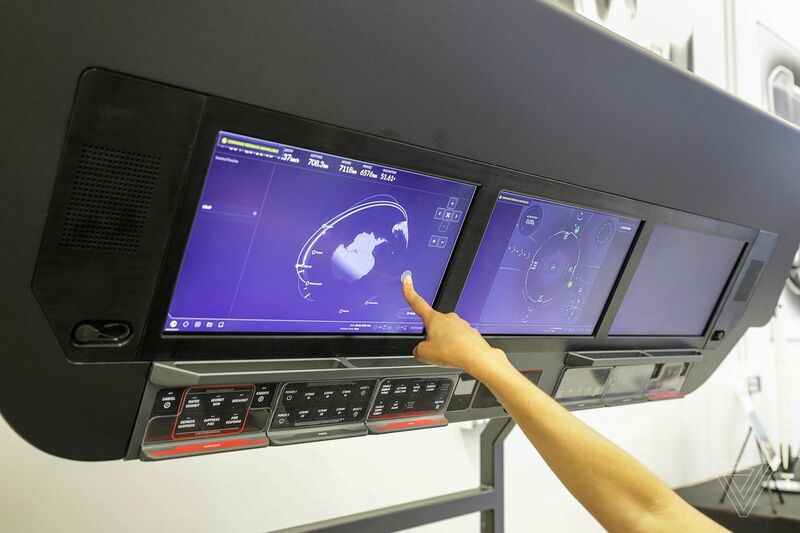 All other interactions are meant to happen on the capsule’s three touchscreens, which will respond to the crews’ touch through their spacesuit gloves. The main purpose of the screens is to provide orbital flight tracking. Astronauts will be able to adjust the displays to look at different views of the Earth, showing where their capsule is located on the trip to orbit. They also have the option to switch to an attitude control view on the screens, which will allow them to manually steer the Crew Dragon in space. A simple tap will ignite the vehicle’s thrusters, slightly altering its course. That shouldn’t be necessary, though, as the Crew Dragon is meant to automatically dock with the space station. But the option is there if needed. However, there’s one key part of the interface that is neither a button nor a touchscreen command. It’s a large handle in the center of the console with the word “EJECT” next to it. It’s something that the astronauts will hopefully never need to touch. 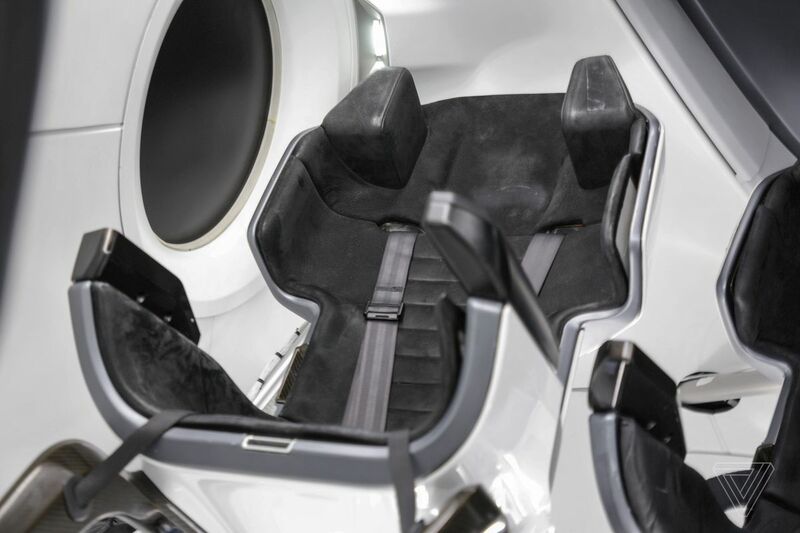 But if the rocket carrying the Crew Dragon were to malfunction during flight, astronauts can twist and pull this handle, igniting engines on board the capsule that will carry them away from danger. The handle is meant to be the last line of defense for astronauts. SpaceX has programmed the ship’s onboard computer to detect any anomalies that would require a speedy escape, hopefully preempting the need for astronauts to intervene. In fact, it seems the entire goal of the Crew Dragon is almost complete automation. If all goes well during flight, the astronauts will mostly sit back and enjoy the ride. 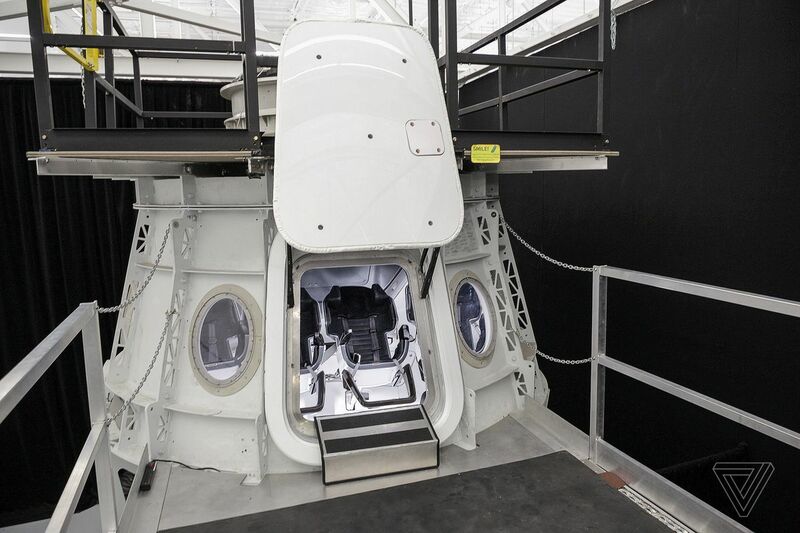 However, spaceflight requires preparation for even the most dire scenarios, which is where SpaceX’s next major tool comes in: a simulator that essentially re-creates the entire inside of the capsule, from the seats to the windows. Inside, astronauts train for all kinds of spaceflight situations from a normal flight to the unthinkable. 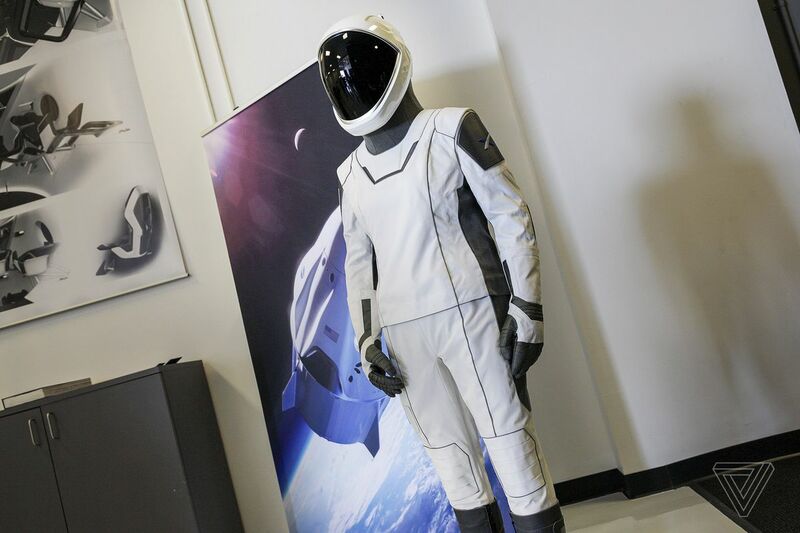 SpaceX will put them through increasingly complex failure scenarios, such as fires or depressurization, and the astronauts will have to communicate with ground control to see if they need to fix something inside the capsule. It even has a sunlight simulator — a lamp — that shines through the window to re-create how the Sun will look during flight. As comprehensive as it is, the one thing the simulator can’t do is re-create what it willfeellike on the rocket. The ride on top of SpaceX’s Falcon 9, which will carry the crew capsule to space, will be a bumpy one, in which astronauts will pull extra Gs and experience intense vibrations. To simulate that, the astronauts will actually sit on a giant plate used to vibrate spacecraft, in order to get a feel for the launch. NASA selected four astronauts in 2015 to fly on the first flights for the Commercial Crew program. However, it’s been an open question about which vehicles the astronauts would fly on. 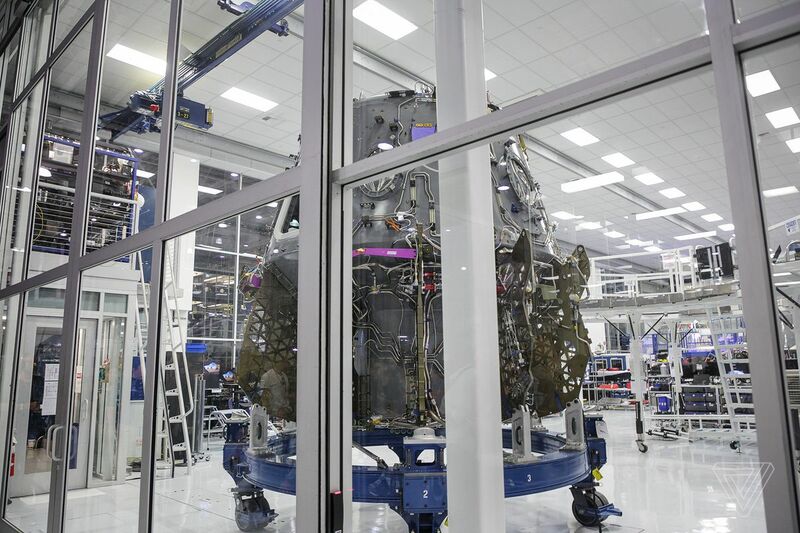 Both Boeing and SpaceX are developing capsules for the program, the CST-100 Starliner and Crew Dragon, respectively. This month, NASA announced the crew assignments for each spacecraft, along with new target dates for when these vehicles will rocket into orbit. 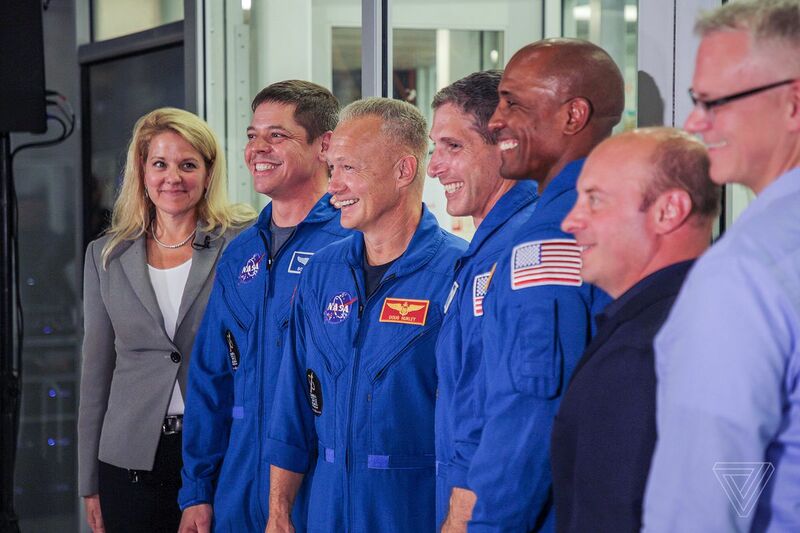 From left to right: SpaceX president Gwynne Shotwell; NASA astronauts Bob Behnken, Doug Hurley, Mike Hopkins, and Victor Glover; Garrett Reisman, SpaceX’s senior adviser for human spaceflight; and Benjamin Reed, SpaceX’s director of crew mission management. SpaceX’s astronauts include three veteran fliers and one newbie. The company’s first crewed test flight, which will send the Crew Dragon to the International Space Station for a two-week trip, will be piloted by Doug Hurley and Bob Behnken, two former Space Shuttle crew members and friends who were both in each other’s weddings. That flight is slated to occur in April 2019, and it will be a crucial step toward certifying that the Crew Dragon is ready for regular trips to and from the ISS. Once the Crew Dragon is certified, its first operational flight will carry a crew of four to the ISS for a months-long stay. That crew will include NASA astronaut Mike Hopkins, who flew on the Russian Soyuz rocket, and Victor Glover, who will be making his spaceflight debut. 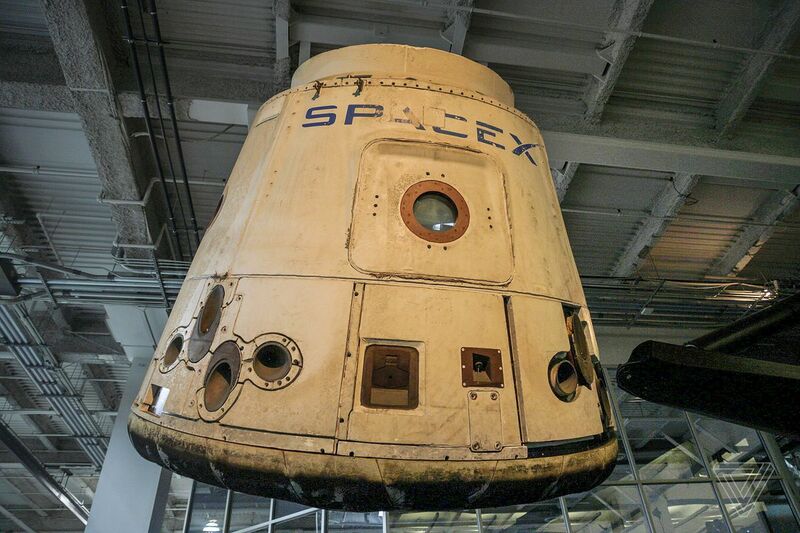 The first Dragon cargo capsule that ever flew to space hangs over SpaceX’s headquarters. Official training for the missions has already begun in the last couple of months. Behnken and Hurley, who were first announced as part of the Commercial Crew Program in 2015, have been spending about every other week at SpaceX’s headquarters and will probably stay longer as their flight gets closer. “That pace will just continue to build. We’ll be spending weeks at a time out here,” said Hurley. The astronauts have also been spending time in Florida, where they’ll launch from, and SpaceX’s test site in McGregor, Texas. Additionally, Glover and Hopkins will be coming out to SpaceX from time to time, but they also still need to train with NASA in Houston for their long-duration stay on the ISS. But, above all, she guarantees that the highest priority is safety.